Local and international organizations are hard at work rescuing and finding shelter for companion animals who have become homeless in the aftermath of the earthquake and tsunami in Japan. The AT reported that we thought Japan’s Cat Island, or Tashirojima, had survived the tsunami, and additional sources have provided more concrete evidence that the community of elderly people and cats did make it through. 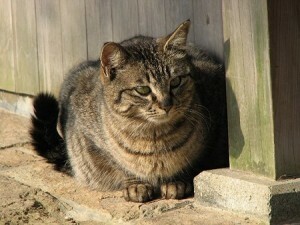 This article on Discovery News includes video of some of the cats before the earthquake. As if it weren’t enough to be digging out after the biggest earthquake in Japan’s history and a huge surge of water, the Japanese are also racing against time at the nuclear reactors. Homeless dogs and cats, it was thought, were racing another clock: a standard policy that requires euthanasia of strays after 72 hours in state-run shelters. Rescuers and companion animal supporters have received assurance that this policy won’t be followed during the earthquake recovery. The order, published on 17 March, also noted that the relief effort faced a major challenge: a shortage of gasoline to allow vehicles to carry needed supplies into the area affected by the disasters. This order should suffice to quell fears that have been discussed widely in animal relief groups in Japan and among supporters outside of Japan on the Web. However, the 72 hour maximum remains standard policy during non-crisis times. The AT’s contacts in Japan confirm that “Animal Welfare in Japan,” an article that appeared some time ago in Animal People, presents an accurate view of the state of animal welfare efforts in Japan before the crisis. Animal Refuge Kansai is one of the organizations at the center of the coalition carrying out disaster animal relief now. Elizabeth Oliver founded ARK in 1990. In 1995, ARK’s work expanded so much during another major earthquake that Oliver quit teaching English and devoted herself completely to animal re-homing and rescue, according to Avenues. Because of this prior experience, ARK understands the scale of effort that is needed in the present crisis. Best Friends published a substantial letter from Oliver on 18 March. ARK reported to Best Friends, on 16 March, that people are bringing in cats who were displaced by the earthquake and tsunami. They are also getting a lot of requests to take in pets left behind by those who are going home to other countries. ARK predicts a need for a LOT of cat and dog food and veterinary supplies. WSPCA is working to encourage authorities to allow displaced people to keep their pets with them in shelters. 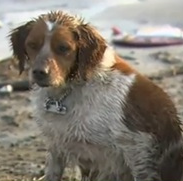 This dog has since been rescued. Japan Animal Welfare Society and the Japan Society for the Prevention of Cruelty to Animals are working jointly in the crisis. As of 17 March, they had locations in three cities and ties with local animal organizations and governments but had not yet sent rescuers into the affected areas, according to Best Friends. Best Friends also reported that Japan Cat Network is deeply involved in rescue efforts and is swamped with messages of good will and donations. As of 17 March, they were looking for a volunteer to help with correspondence in English. JCN, like other rescue organizations in Japan, doesn’t have much shelter space. “One of the biggest problems that we will be facing is the extreme lack of existing sheltering facilities. Most welfare groups here work informally at a local level, and rely entirely on fostering as a means of re-homing stray and unwanted pets,” Susan Roberts told Best Friends. “It will be a real challenge to find places and space to put the large numbers of animals that are now in need of rescue from the disaster areas. Still, every life that we are able to get out, and on a path to something better, will be a success,” Roberts added. 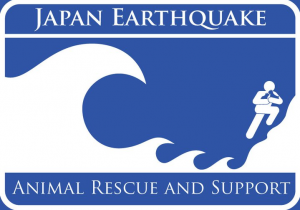 JCN has joined Animal Garden Niigata and HEART-Tokushima to create Japan Earthquake Animal Rescue and Support, a page on Facebook dedicated to collecting information about the continuing crisis and animal relief efforts in one place. World Vets, the organization supported by the Paws for Japan fund drive on 17 March, is working with a coalition of organizations in Japan to provide relief assistance. They set up a safe location for a temporary shelter away from the epicenter of the earthquake. World Vets volunteers are in the disaster area now. 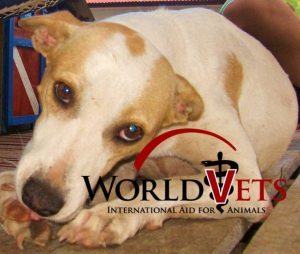 World Vets and its partner organizations have delivered supplies to local welfare groups. Their people in Japan report that pets abandoned by people leaving the country are overwhelming shelters. When the situation at the nuclear power plants allows for safe travel of volunteers, World Vets will expand its work. The organization has plenty of volunteers among its members, but is asking for donations of supplies and medicines to e sent to the headquarters in Fargo, ND, US, such as de-worming medicine, vaccinations, fluid replacements, wound treatments, and in particular, cages. All of the organizations report receiving generous offers from people outside of Japan to adopt dogs and cats made homeless by the earthquake and tsunami. All of the organizations thank these generous people for the offers and ask instead, that those of us who want to help, offer support for their efforts to reunite lost animals with their humans.